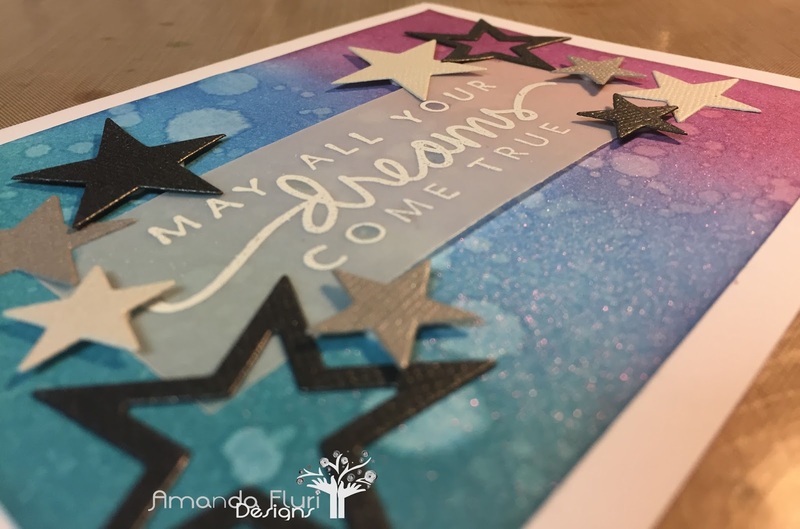 Cards by Amanda Fluri Designs: Happy birthday card...changing it up. Happy birthday card...changing it up. Hey everyone, it seems like lately I am on a roll. I decided to take a little break from Christmas cards to make a birthday card for my boyfriends niece. I thought it would be fun to play along with a challenge for this card too. I have never played along with Seize the Birthday and this week their challenge is to create a card using vellum and acetate. 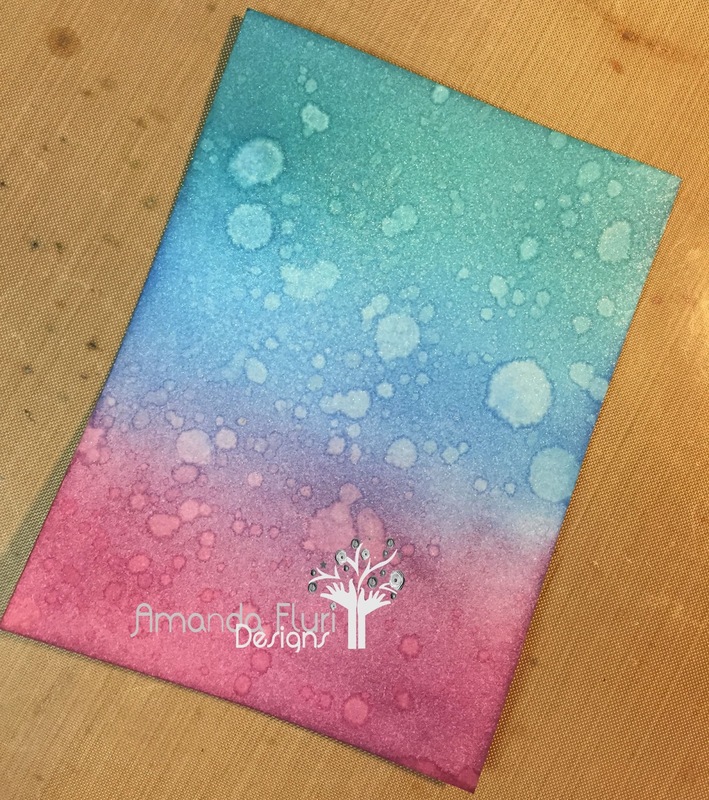 I started with playing around with some distress inks and I create a background using some of her favourite colours. 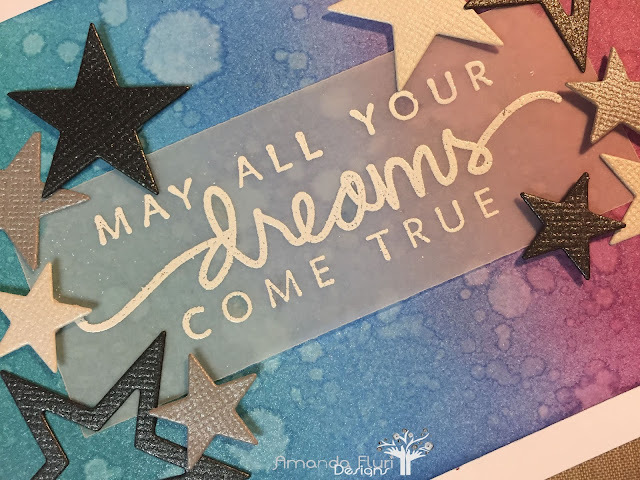 From there I put water droplets onto the paper to give it a cool look and then I added the sentiment and the embellishments. It basically created itself once I had made the paper. I love how it turned out and my boyfriend says, "probably my favourite one yet." I really hope that she loves it too. 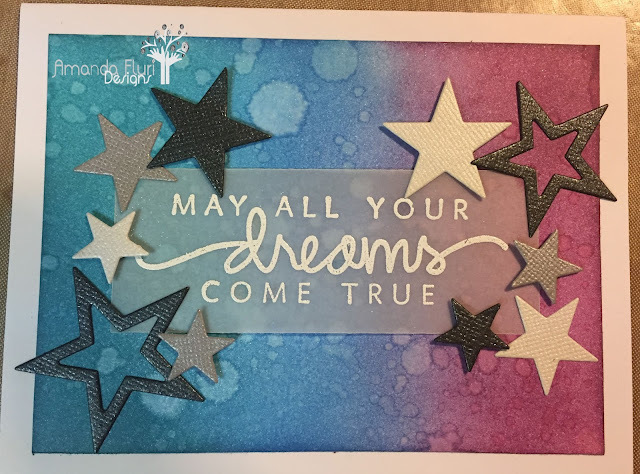 I had fun making this card and taking a break from Christmas cards but I am looking forward to getting back to Christmas cards. White card stock - used for card base and background paper. Cuttlebug matchine - machine used with the dies to cut shapes. 2 sided tape - used to attach the background to the card base. 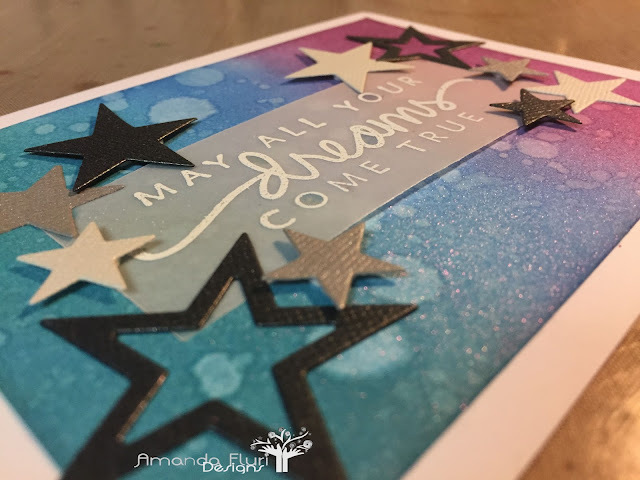 Pick me up tool - used to move and position the stars on the front of the card. Lovely card with a terrific background! Super job! I have that sentiment stamp and use it all the time! Thanks for sharing your talents with us at Seize the Birthday! Thank you so much for your kind words. I haven't used this stamp before now and I like it and will be using it again very soon. Thanks for letting me join in the fun at Seize the Birthday, I hope to play along really soon! I love the background your created for your beautiful card. The sentiment on vellum looks great. Thanks so much for joining us at Seize the Birthday. Thanks for stopping by to share your comments with me. It was a really nice surprise and made my day. Thanks for letting me join all the talent over there at Seize the Birthday, I cannot wait to join you ladies again really soon!